Do you want to go to Busan but you have no time? Well, you can do visit it and become productive in just a span of 24 hours, just like what I did. 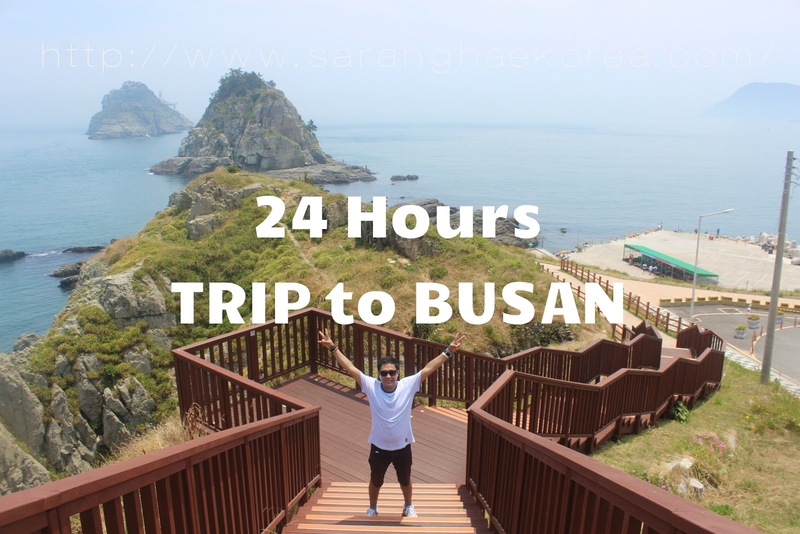 So today, I am sharing to you the itinerary that I made for all the busy people out there who want to go to Busan but no ample time to do so. Depending on where you are coming from, the fare and the time of travel going to Busan vary. There are a lot of ways to go to Busan, you can take a train or a bus. The most expensive way to go there but the most convenient as it only takes shorter amount of time to reach the destination is via Express train. To save money, why don’t you get up early and take bus or regular train instead. Expenses: Fare starts at 37,000 KRW via regular train from Seoul. From Busan Station, go to Exit 10. Then take Bus number 27 and get off at Oryukdo SK View Humun bus stop, about 25 stops from Busan Station. There are several restaurants near the area of Oryukdo. You can go to the gated apartment buildings right next to the island to go to the restaurants or convenience stores. 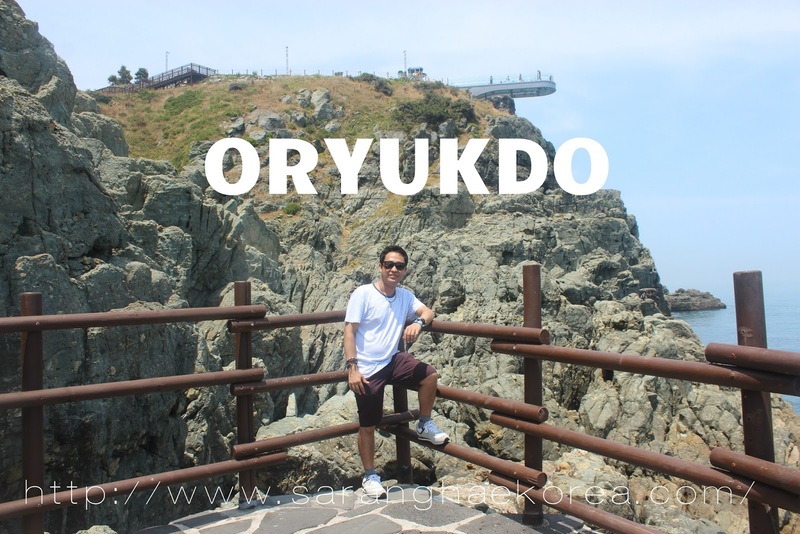 After lunch, take Bus 27 again to leave Oryukdo. Get off at Yeongju-dong bus stop and transfer to Bus Number 87. Get off at Chungmu-dong Intersection. At Chungmudong Intersection Bus stop, transfer to a small village bus number 03. This bus will take you to Gamcheon Cultural Village. 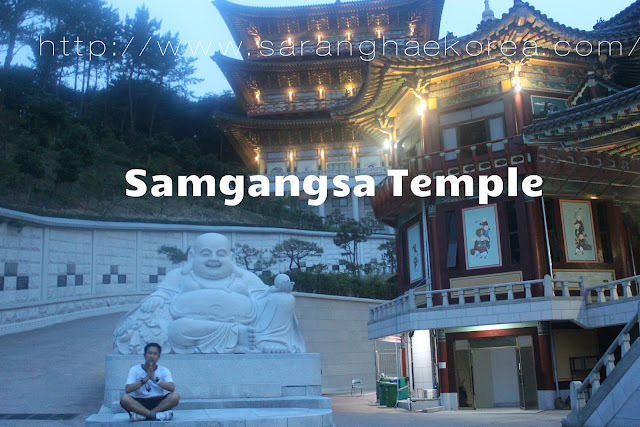 Take any village bus and get off at the nearest Train Station, probably the “Toseong Yeok”. From Toseong Yeok, take subway line number 1 and get off at Seomyeon Yeok. 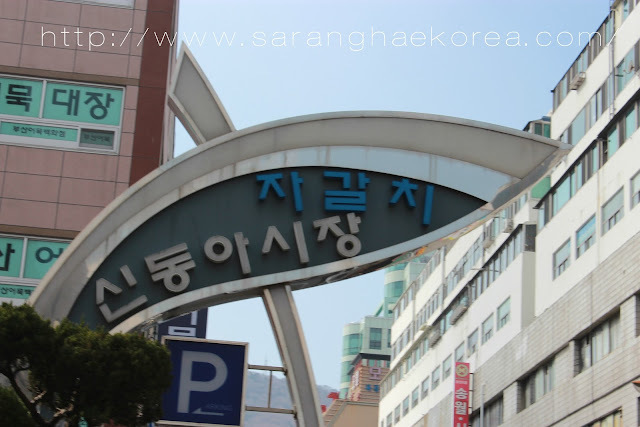 From Seomyeon Yeok, go to the bus stop in front of Medical Centre which is located opposite the Lotte Department store. Take Bus Number 15 and get off at Samgwangsa Temple Stop. 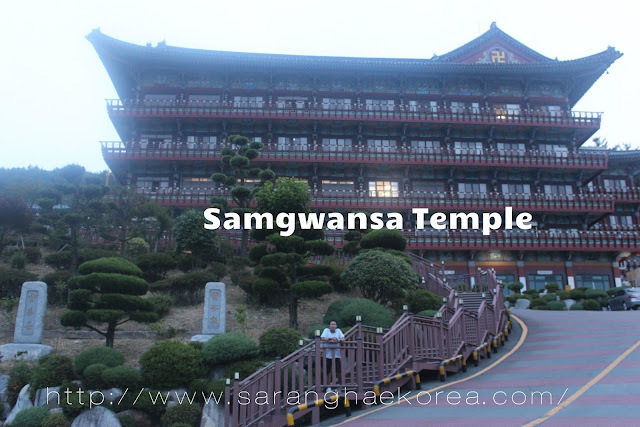 You can take Bus number 15 from the temple and get off at Lotte Department Store which is near Seomyeon Station. Take your dinner from random Korean restaurants in the area, and then go to Seomyeon station, from Seomyeon Station, take the train and get off at Nampodong Station on line number 1. Go to Exit 1, walk straight ahead and take either Bus number 30 or 26 and get off at Daelim APT bus stop. The Jjimjilbang is just in front of the apartment. Overlooking the Songdo bridge, Songdo Haesoopia is one of the most visited jjimjilbang in Busan. It’s a huge spa with big sleeping area and big sauna to give yourself some relaxing bath for a night. 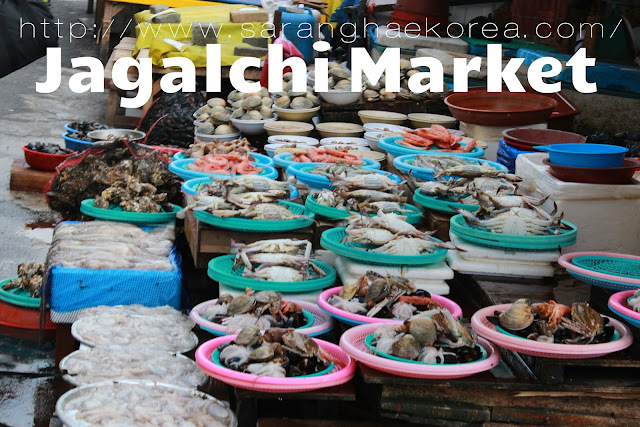 A variety of seafood restaurants are all over the area of Jagalchi market. However, if seafood is not your type for a breakfast, you can just head to some random restaurants in the area. You can also explore Jagalchi Market and be amazed at how people in the market process the seafoods from the dock to the market. Busan Station is just near the area, you can take a subway from the nearest subway station, which is probably Nampodong, to go to Busan Station. 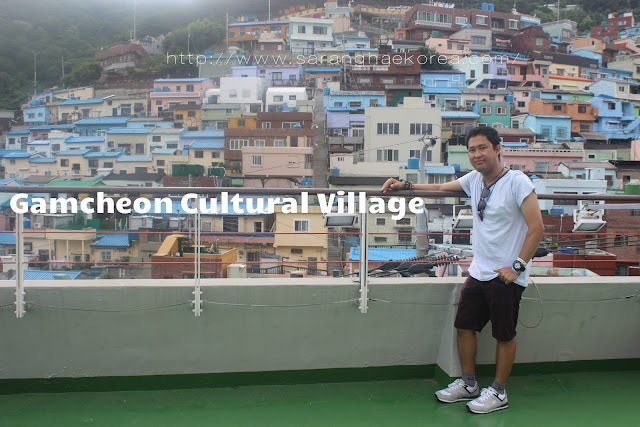 Feel free to search for the locations of these other tourist attractions in BUSAN if you can spare more than 24 hours. You may spend a total of 120,000 KRW to 150,000 KRW for this itinerary. It can be higher or lower based on your location of origin, the things you buy and other factors. 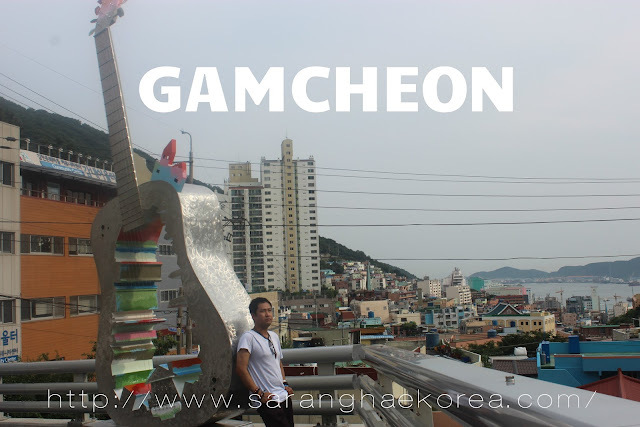 Here’s my shameless plug of the vide I created about my 24 hour trip to BUSAN.